Need a new prescription lenses? Have a problem? Can’t decide? Then, Hoya is your brand. The manufacture a range of Single Vision Prescription Lenses to Highly Customized Free Form Progressive Lenses also known in Malaysia as Multifocal Lenses. 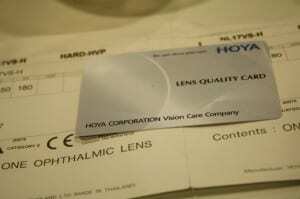 We offer a complete range of single vision and multi-focal from Hoya lenses to suit your lifestyle needs. To provide you with the best possible vision solutions, this section of the website to give you an indication and understanding on what type of lenses best suit you and your family’s needs. Like fingerprints, no two eyes are exactly the same. The correction to restore and enhance one’s vision should be equally unique, hence why HOYA has produced world leading lens technologies that correct each eye’s specific correction requirements. Its what’s inside your frames that counts and HOYA is dedicated in giving you access to information that will assist you in making the best decision for you and your family’s eye health needs. 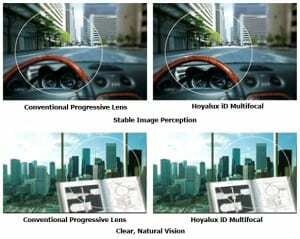 What type of Progressive Lenses you need? The Progressive Lenses or Multifocal Lenses are best use for individuals who has reading problems. At Malaya Optical in Damansara Uptown or Subang SS15, our Optometrist are qualified to prescribe various types of Hoya progressive lenses design that best suit your lifestyle and needs. Regular or standard multi-focals are a little like a “one size-fits-all” and can take some time to get used to as often wearers seem to experience image distortion and an unbalanced feeling throughout the day.